AURORA – Consolidated Investment Group of Englewood, recently completed Building 2 and broke ground on Building 3, a Class A industrial park located in northeast Aurora, just southeast of the intersection of Interstate 70 and Tower Road. Both buildings will deliver more than 465,000 square feet of industrial space. 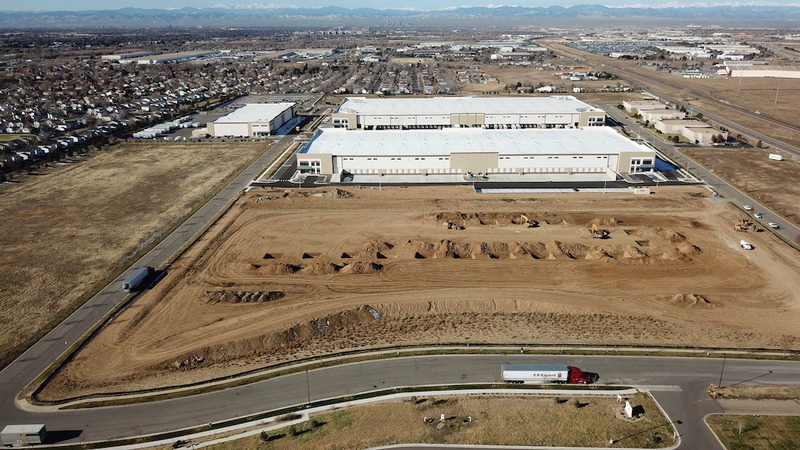 “Eastpark 70 offers new Class A construction in Denver’s dominant industrial corridor with immediate access to I-70. Tenants get all of the benefits of being part of a high quality planned industrial park plus modern building features like 32 to 36-ft. clear heights, dock-high and drive-in doors, ESFR sprinklers and ample trailer parking,” said Doug Viseur, senior vice president at CBRE, who along with Todd Witty, is representing Consolidated Investment Group in marketing the buildings for lease. Building 2 is located at 19700 East 23rd Avenue and offers a total 245,847 square feet., with 147,747 square feet just leased in December to Bunzl, an international distribution and outsourcing company. The remaining 98,100 square feet is divisible down to 49,050 square feet. Just completed in October 2018, Building 2 includes 74 dock-high doors and four drive-in doors, plus 25 trailer parking stalls and 174 auto stalls. Located next door at 19900 East 23rd Avenue, Building 3 broke ground in October 2018 and pre-leased 68,510 square feet in December 2018 to Benjamin Moore. 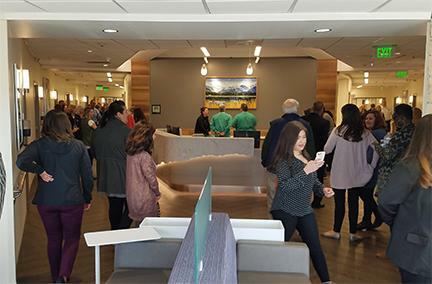 Building 3 will total 220,247 square feet, with the remaining 151,737 square feet divisible down to 75,000 square feet. Features include 64 dock-high doors, four drive-in doors, 23 trailer parking stalls and 187 auto stalls. Building 3 is scheduled for completion in July 2019. Both buildings are a cross-deck design with office space available to suit. Eastpark 70 is zoned M-1 industrial with approval for outside storage. Buildings 2 and 3 will join two other buildings already completed at Eastpark 70. Building 1 was completed November 2016 and is fully leased by UPS. Building 4 delivered in November 2016 and is also fully leased by two tenants: Atlantic Relocation Systems and JFC International. Consolidated Investment Group has developed each portion of Eastpark 70 speculatively. 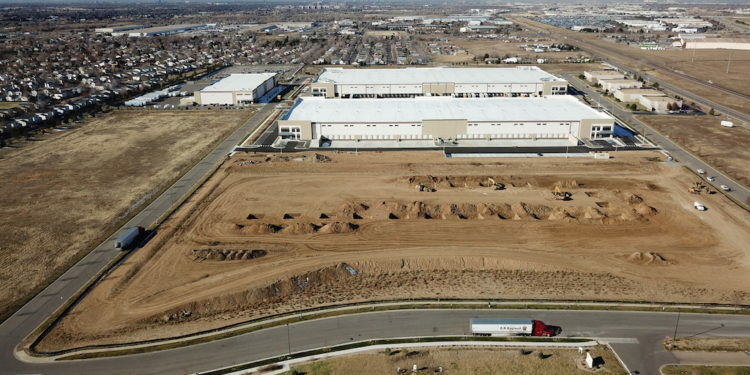 Upon completion, the 105-acre industrial park has the potential to contain nearly 1.4 million square feet of Class A distribution and manufacturing space. Consolidated Investment Group is an Englewood-based investment company that actively invests in real estate, capital markets, private equity and philanthropy. Its real estate investments include office and land, with a core focus on multifamily and industrial investment and development projects, like Eastpark 70.